Take the Airport Express Train at the airport arrival hall to Hong Kong Station (115 HKD) [MTR Map]. Walk underground from Hong Kong Station to Central Station; then take MTR from Central Station to HKU station [PDF]. Exit at A2 Lift Lobby of HKU Station to the campus. 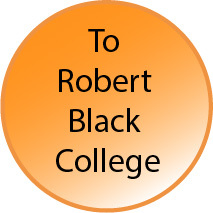 Follow the campus map to walk up to Robert Black College (< 10 mins). Here is the street map for the exits and building information near the HKU station. A Taxi from the airport to HKU costs approximately 350 HKD. The taxi stands are located between Terminals 1 and 2. To go to the taxi stands, follow the signs labelled "to city". If you arrive in Terminal 1, go to the middle of the arrivals hall and cross to the other side (towards Terminal 2) and then turn to exit on the left. If you arrive in Terminal 2, then you will walk towards Terminal 1 and turn right. There are three different types of taxis (Urban, New Territories, and Lantau) which service different areas in Hong Kong.